My exclusive newsletter I send out once every Sunday to catch up and touch base with my favourite readers. Inside each email, I share a personal essay restricted to subscribers only, blog post updates, book recommendations and inspirational quotes from my ever-expanding collection. 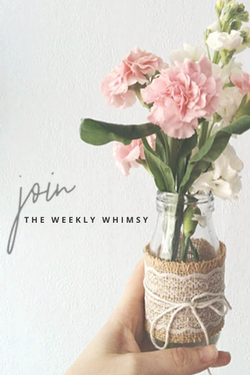 As a subscriber, you’ll be the first to know about freebies, discounts, special content and any blog changes. If you have any questions or blog post requests, yours will be my first priority. If that sounds like a little bit of you, then I’d love to have you join. Just pop your details in below!